Back by popular demand! 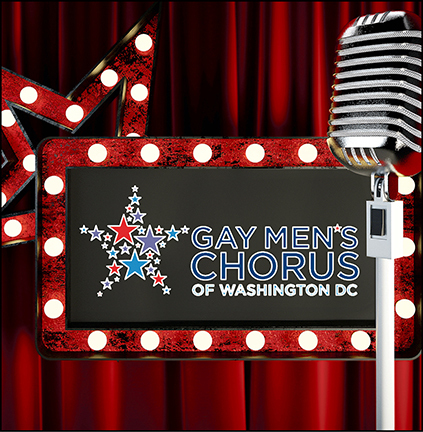 CAMP Rehoboth is proud to present two encore performances of the Gay Men’s Chorus of Washington DC in It Takes Two! Back in January, the show brought cheers and standing ovations. This time here are two more chances to catch this catchy and witty show. Fabulous soloists from the Chorus join together in a concert of bawdy duets and sensual tangos told through songs and stories. There will be two performances only, on July 14 at 5 and 8 p.m.
GMCW in Rehoboth always sell-out, so get your tickets ($25) now at camprehoboth.com. We’re serious, it always sells out. It’s not too early to get your tickets. It Takes Two is a cabaret show with songs all about relationships between lovers, friends, frenemies, and family—and most of the songs are duets. Many of the songs come from the world of musical theatre, such as “It Takes Two” (from the Sondheim musical Into The Woods), “I Know Him So Well” (from Chess), “Bosom Buddies” (from Mame), and “I’ll Cover You” (from Rent). Others are simply favorites of the cast members, such as “Body and Soul,” originally sung by Billie Holliday and recorded as a duet by Tony Bennett and Amy Winehouse. This song is being sung by JJ Vera, who is returning for his third consecutive cabaret, and Dana J. Nearing, who is new to the Cabaret.